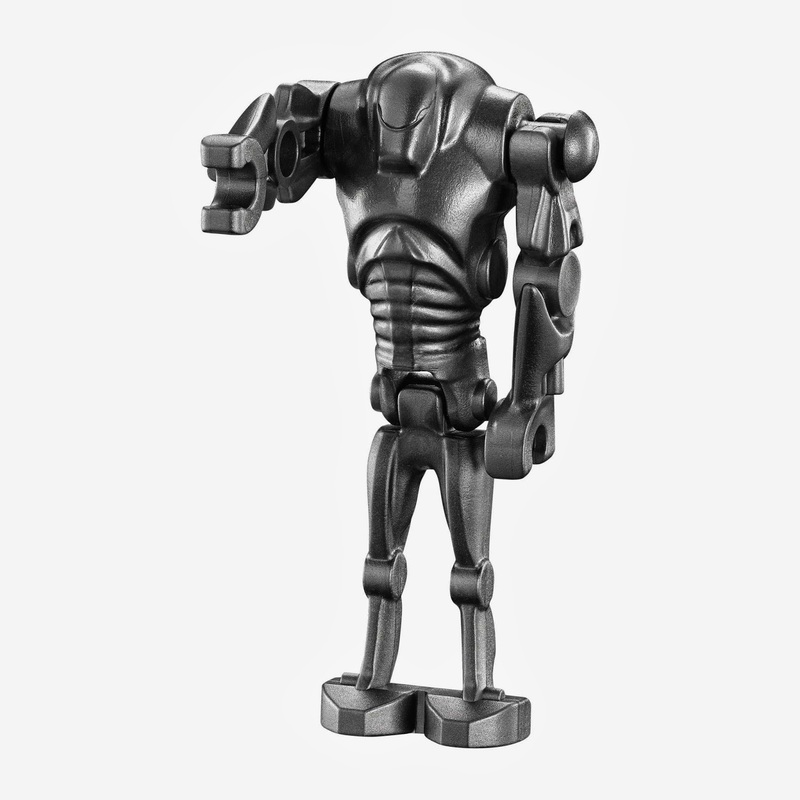 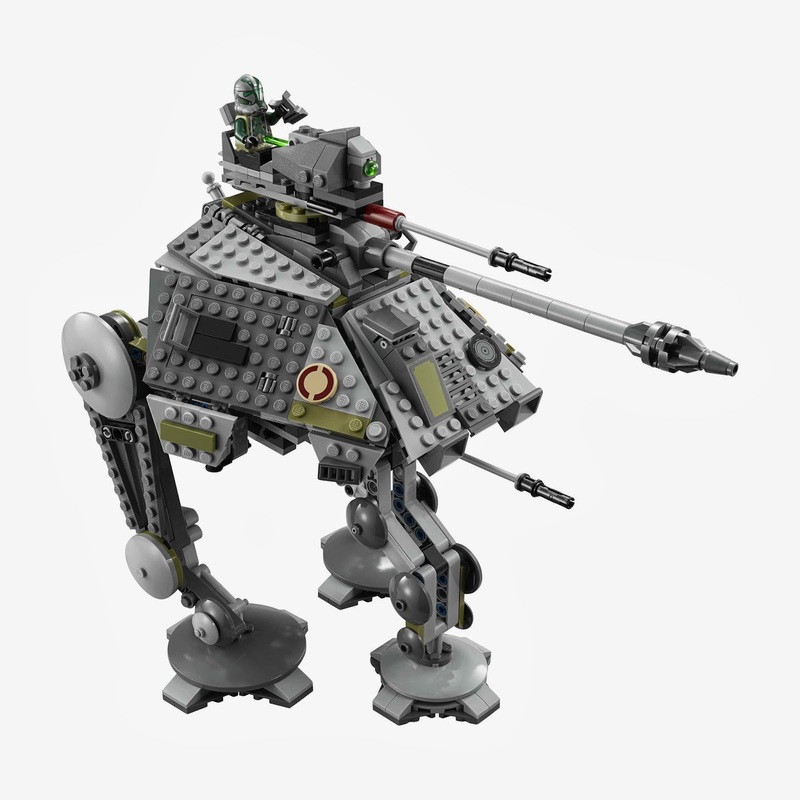 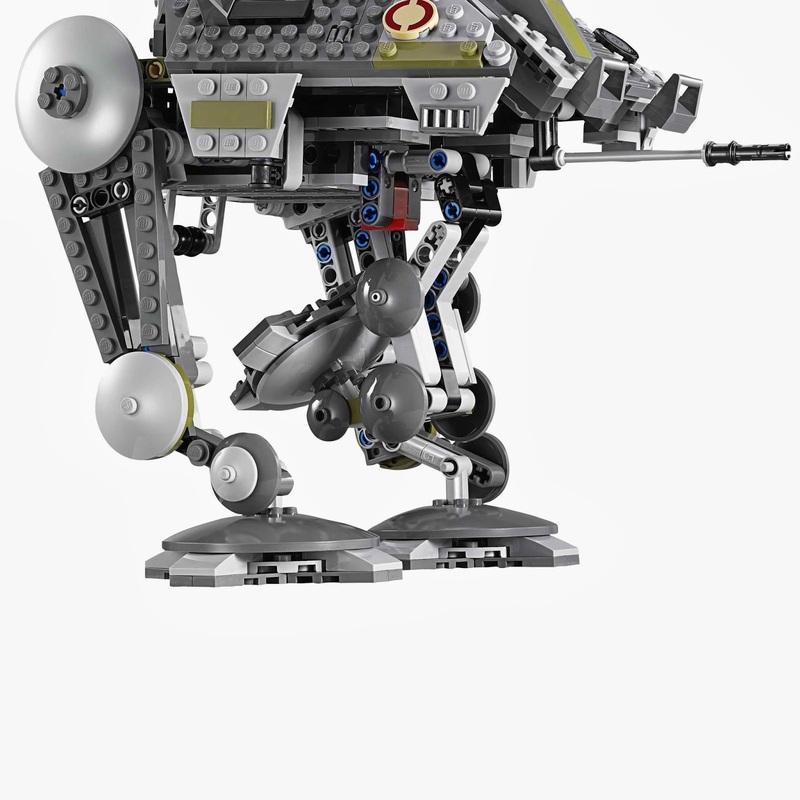 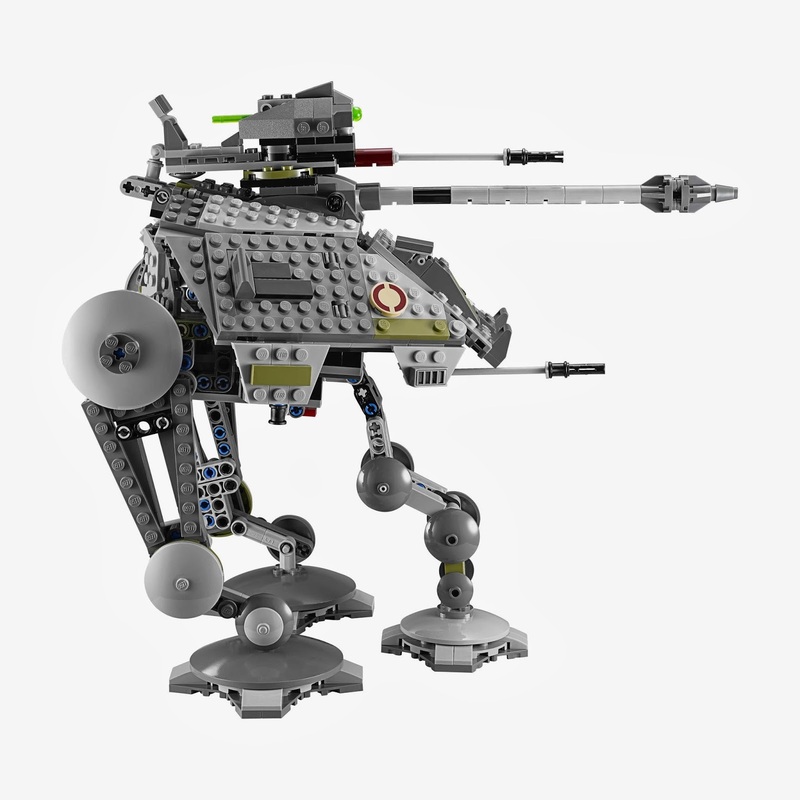 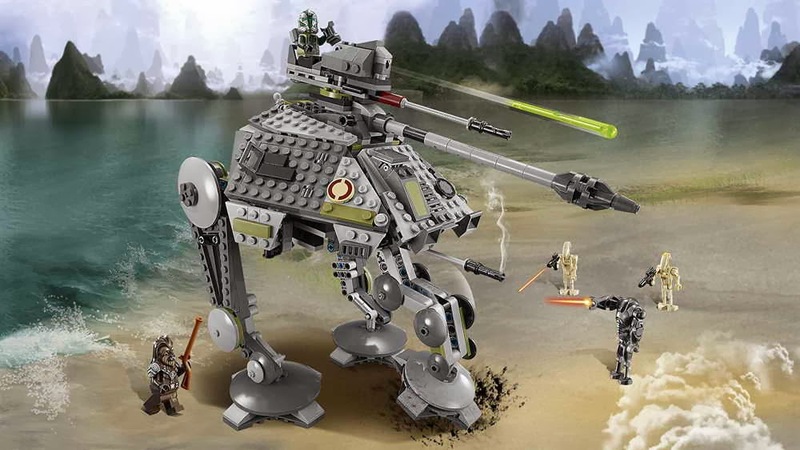 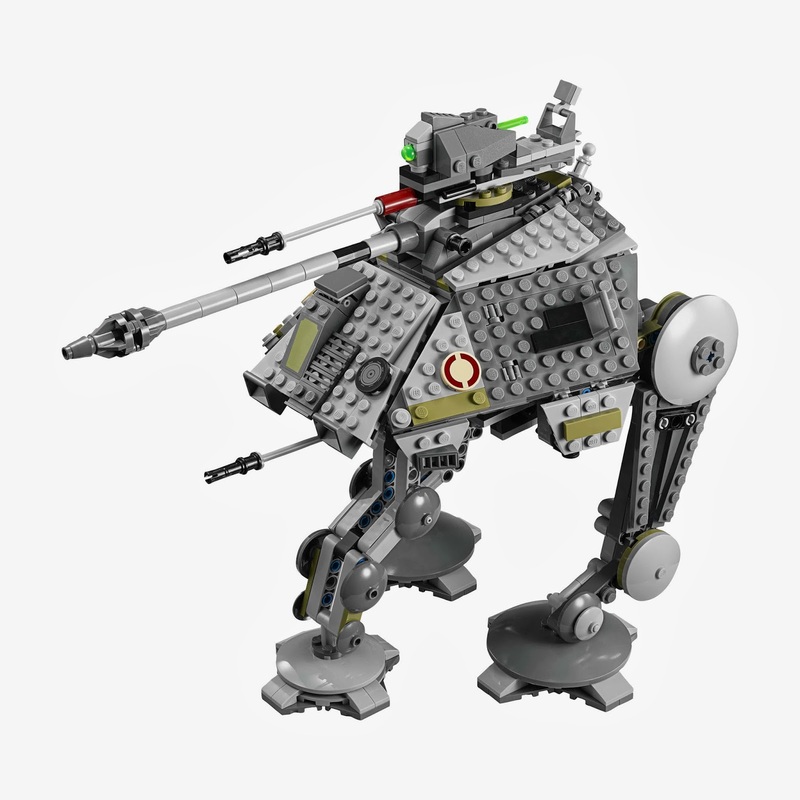 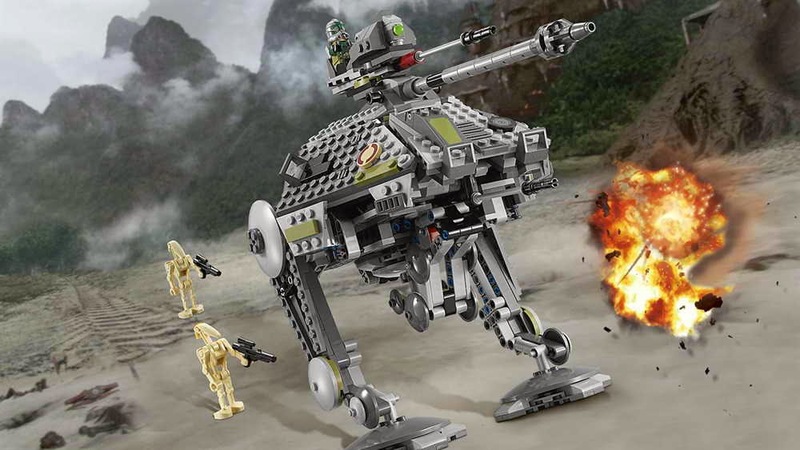 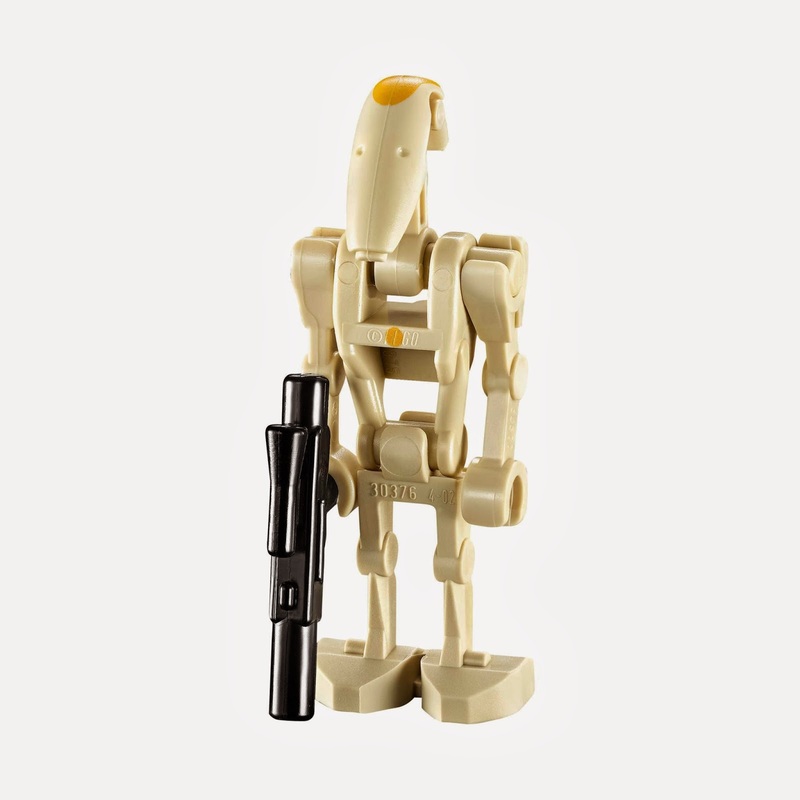 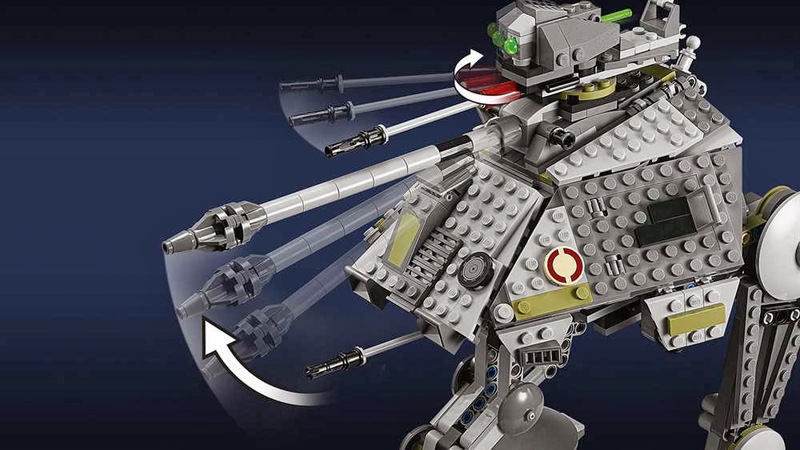 come with an at-ap walker. 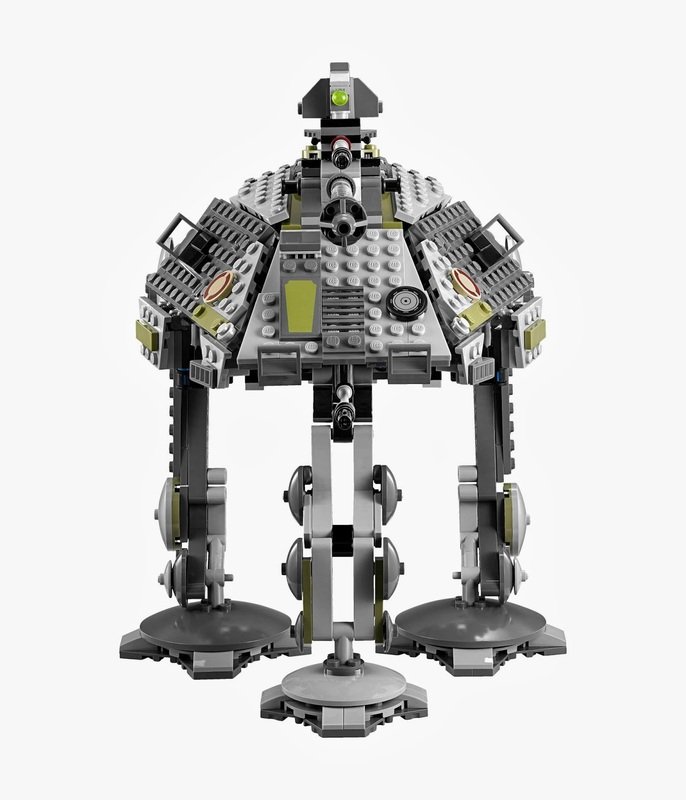 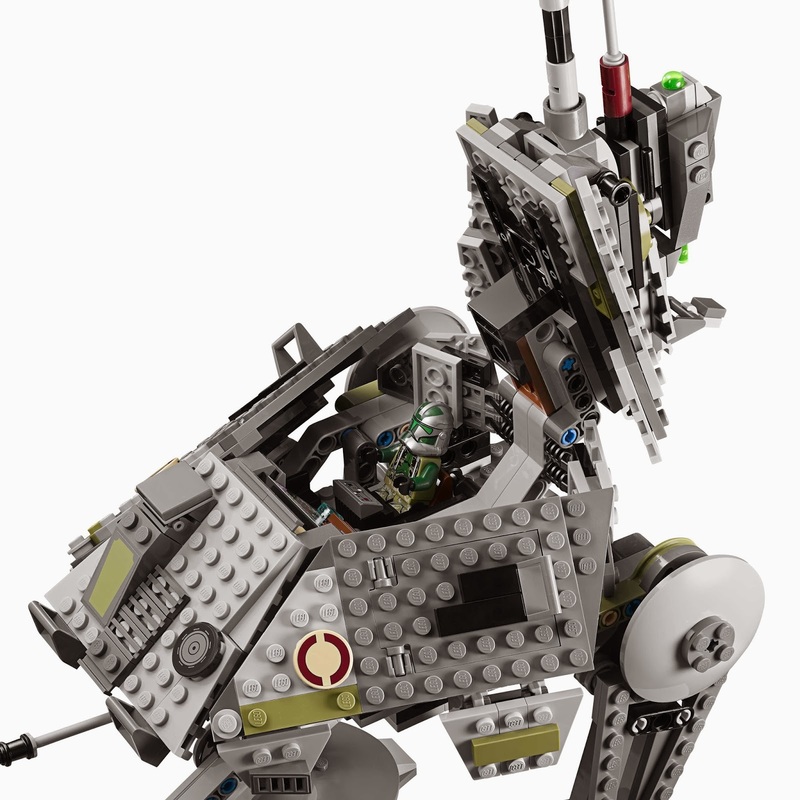 the walker has movable legs, a retractable third leg, openable side doors, an openable roof, a cockpit with 2 seats, an elevating main gun and a top mounted spring loaded shooter. 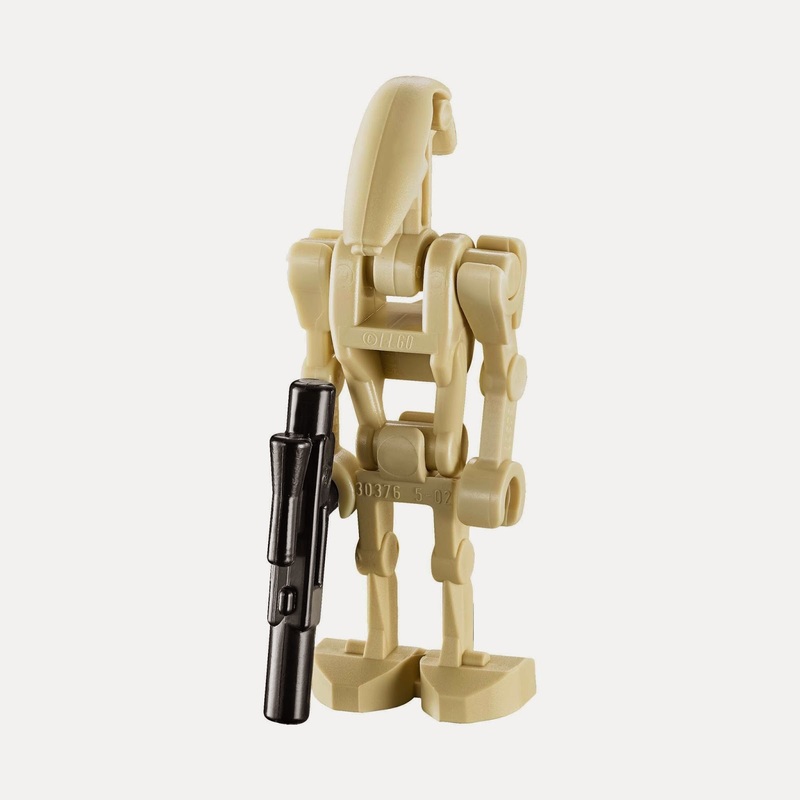 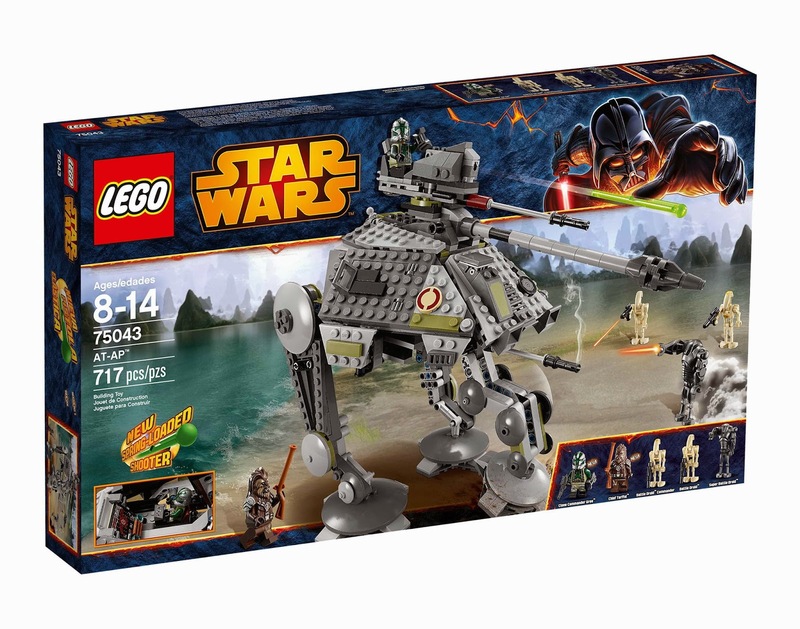 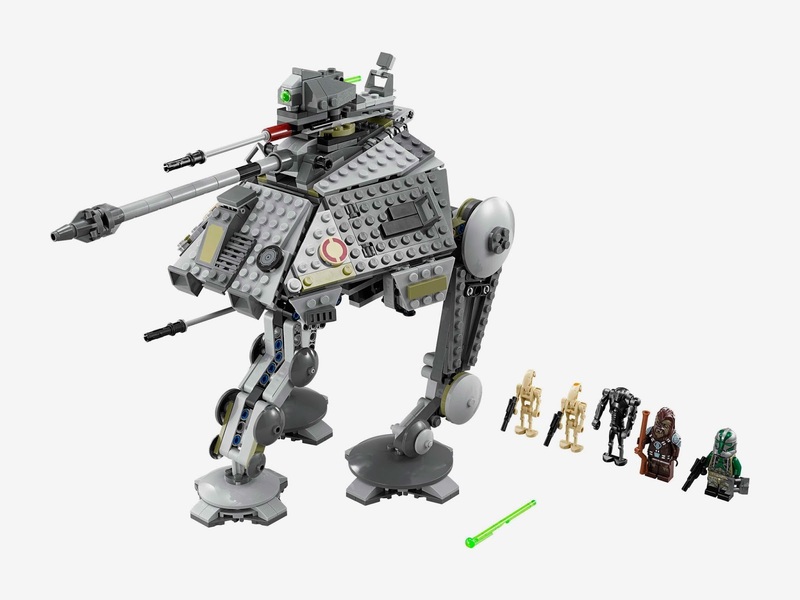 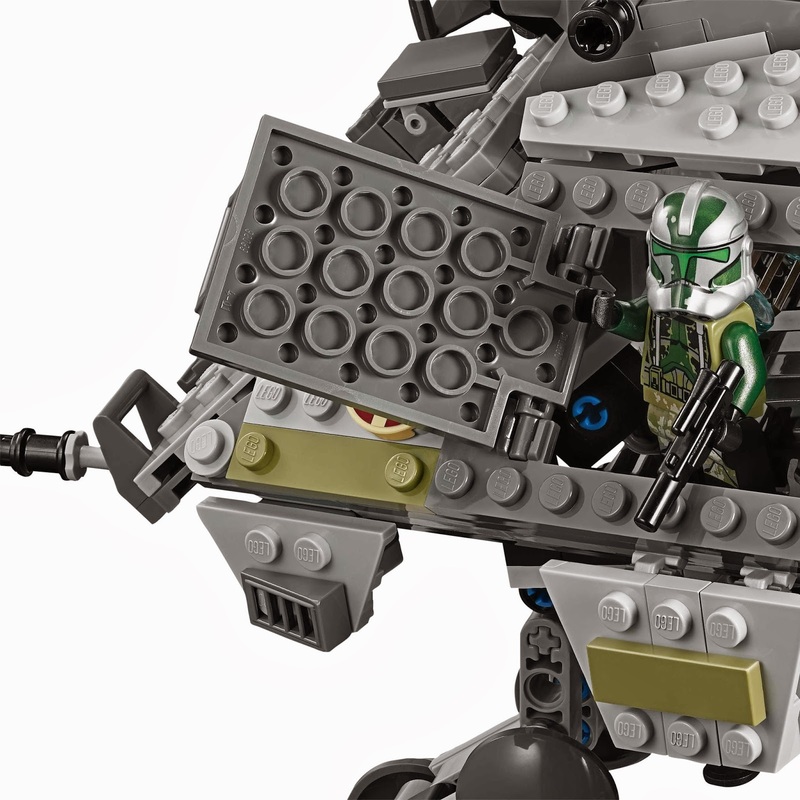 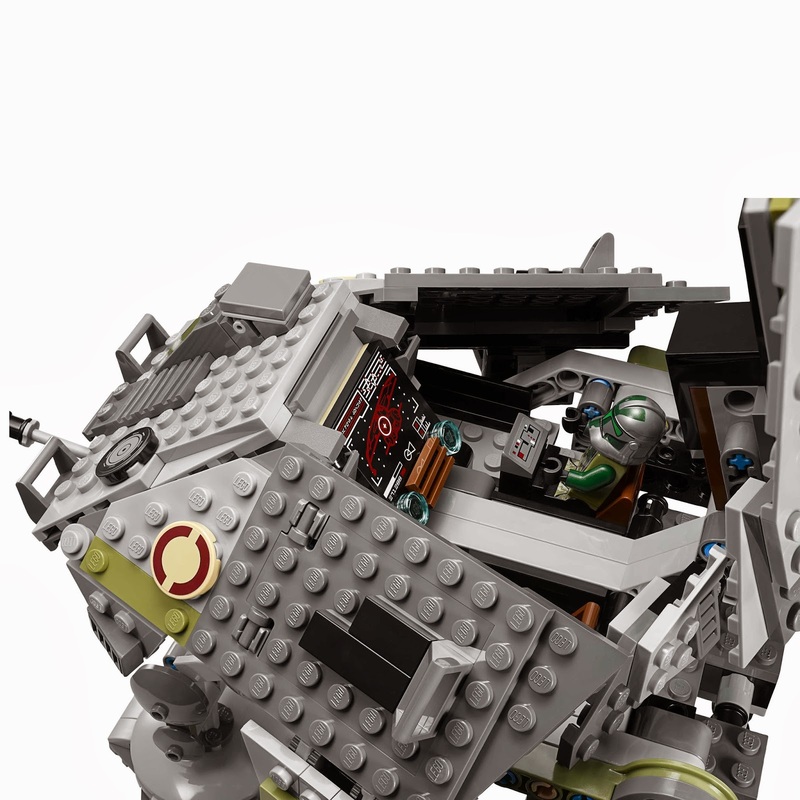 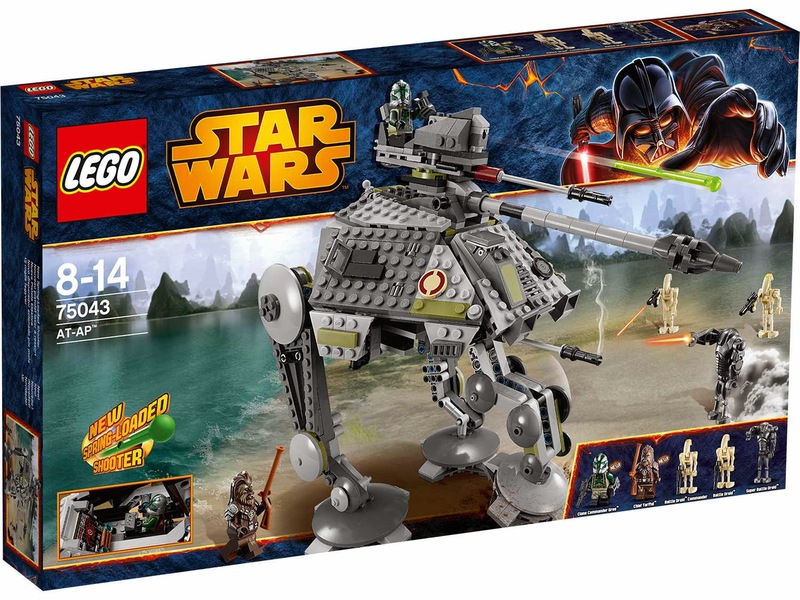 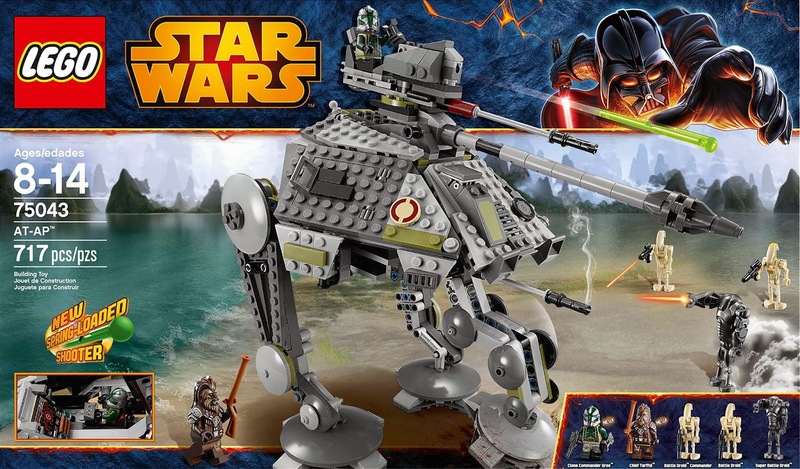 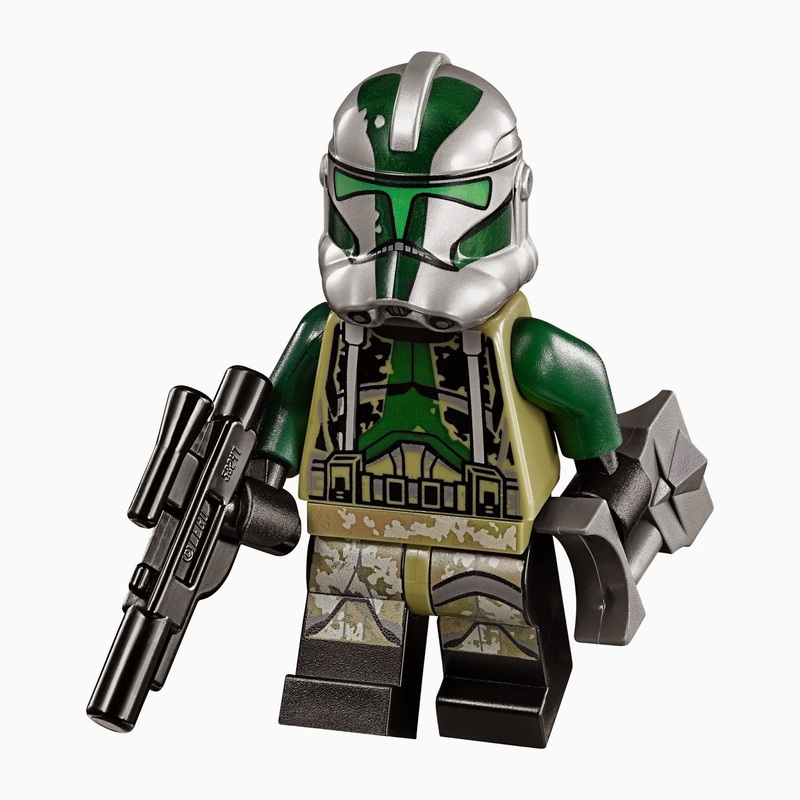 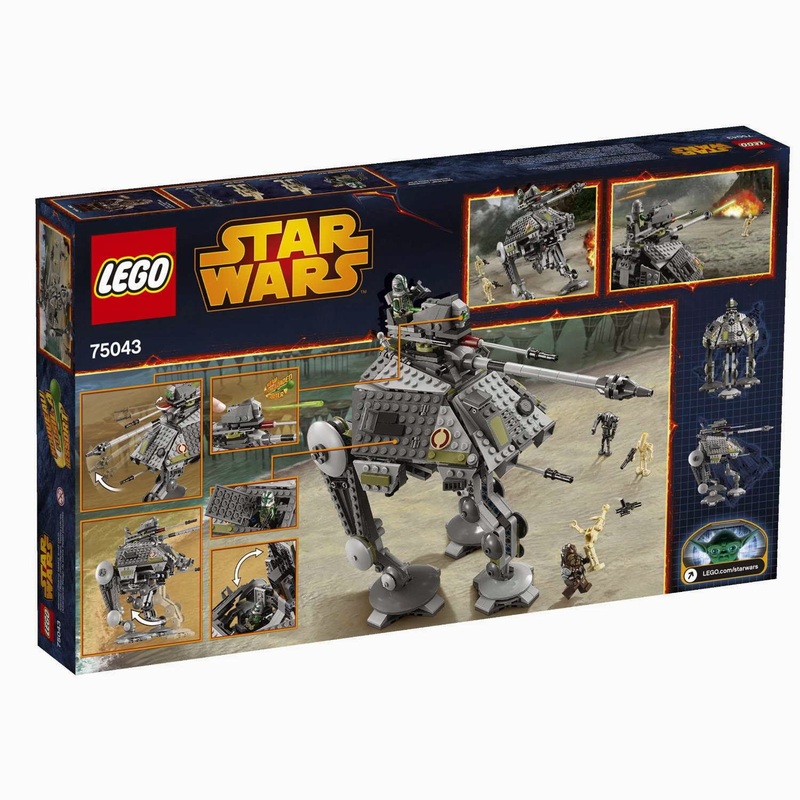 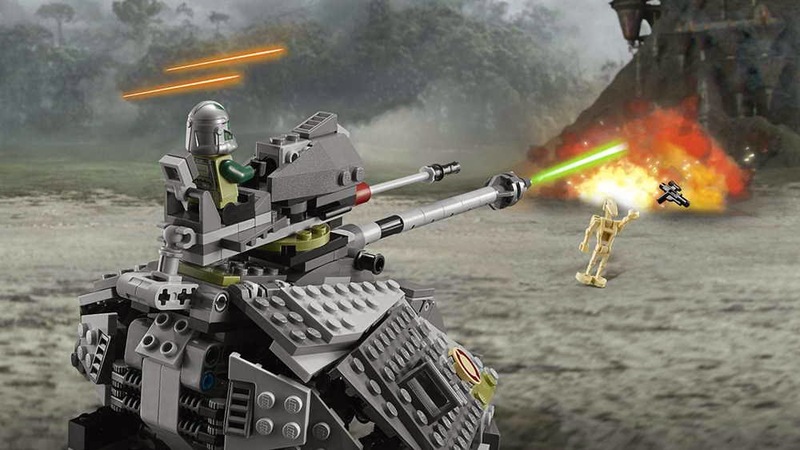 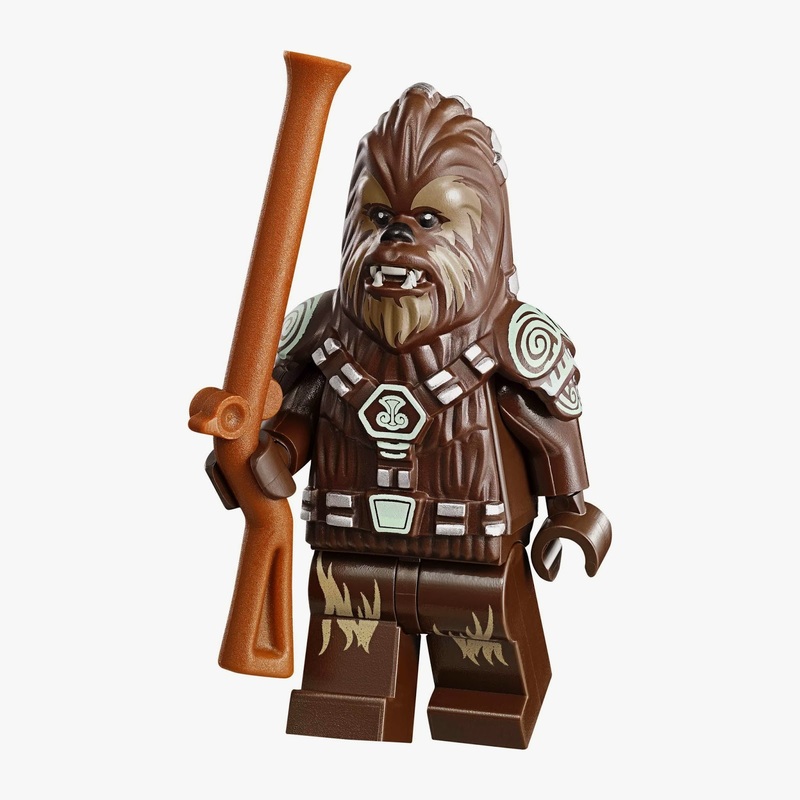 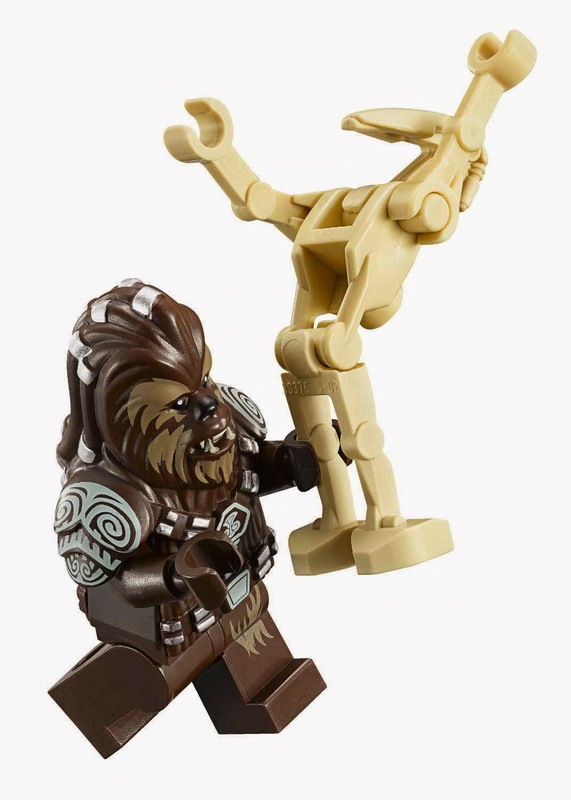 minifigs included a clone commander gree minifig, a chief tarfful minifig , a battle droid minifig, a battle droid commander minifig and a super battle droid minifig.